is acting like a kid. 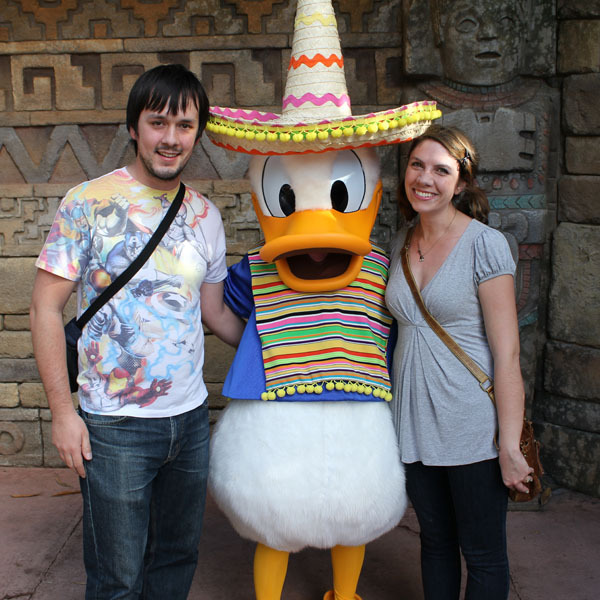 We met Donald Duck, jumped up and down in excitement, and then immediately ran to the margarita stand — because we can! We had a great, great time in Orlando, and now that we’re back home we both have a cold. Aaargh. Despite my sniffles, I have a bunch of stuff to share with you soon! !